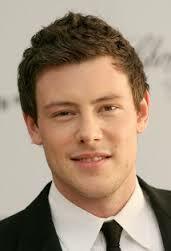 As a longtime fan of the television show Glee, I am horribly saddened by the death of Cory Monteith. The actor played Finn Hudson on the Fox musical comedy and has been dating his co-star Lea Michele for the past couple of years. He had recently completed a stint in rehab for substance abuse issues. CTV reported tonight at around 10PM that Monteith was found dead in a Vancouver hotel room of a suspected drug overdose, and the Hollywood Reporter later confirmed the news. He was 31 years old. I will always remember the how charming Monteith was in the pilot episode of Glee as the football quarterback with a secret talent for singing. He was instantly likable, crooning “Can’t Fight This Feeling” in the shower, and participating in the now iconic production number of the Journey song “Don’t Stop Believing.” There is, of course, no word yet on how Monteith’s passing will impact the show, which has been renewed for two seasons by Fox. 31 is too young. He had his whole life ahead of him. This is terribly, terribly sad.